On the heels of their 15% off sale, . Nice! 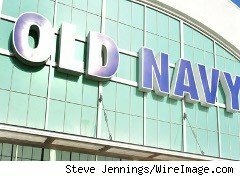 Use Old Navy coupon code ONNEW30. Expires Thursday, July 22, 2010, at 11:59 p.m. EST. You can only use the coupon code once. Or you can get free shipping on purchases of $50 or more with coupon code ONSHIP50. I don't believe Old Navy lets you use more than one coupon code per purchase. Chances are the 30% off coupon will save you more money unless it only applies to a few of your items. Caveats: not valid at Old Navy stores. The 30% off discount offer applies to merchandise only, not gift cards, packaging, applicable taxes or shipping, and handling charges. Not valid on international shipments. No adjustments on previous purchases. Cannot be combined with other offers or discounts including Gap Inc. employee discount.